Meewind’s Zeewind Nieuwe Parken subfund is specifically focussed on the development and construction of new offshore wind farms. The Zeewind Nieuwe Parken subfund offers participants the opportunity to join in at an early stage with the realisation of an offshore wind farm. Participation yields a forecasted return of 7 to 10% after deduction of management costs. 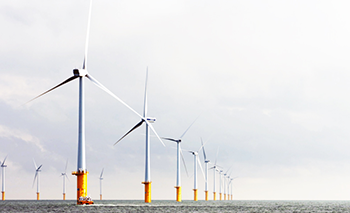 The first actual project in which Zeewind Nieuwe Parken is investing is Nobelwind, 45 kilometres off the coast of Zeebrugge. This wind farm consists of 50 wind turbines with a total capacity of 165 MW. The construction of Nobelwind has been completed in december 2017 and the park is currently in operation. The financial close took place in October 2015. Offshore activities have been carried out since the beginning of May 2016. From 2017 onwards, this wind farm will provide 185,000 households with green power. With its Zeewind Nieuwe Parken subfund, Meewind is a 19.91% owner of Nobelwind N.V. The Zeewind Nieuwe Parken subfund continues to expand. Apart from Nobelwind, Meewind sees even more good investment opportunities for offshore wind projects. Meewind is closely following developments at home and abroad and will, where possible, invest along with others. As the management company of Meewind’s Zeewind Nieuwe Parken subfund, Seawind Capital Partners wants to play an active role in the transition to renewable energy. Partly due to the limited possibilities of banks, additional fund capital is a requirement. Seawind Capital Partners hopes to enlarge the scale by attracting professional investors such as pension funds.